This minimalist puzzle game will put your skills and reflexes to the ultimate test! Build a bridge and find your way to the other side. You can add 1, 2, or 3 pieces at once. Wait for the right moment to place an element, collect the starts and make sure your bridge doesn't touch any other objects than the green area. Can you go all the way and beat the 90 increasingly difficult levels? 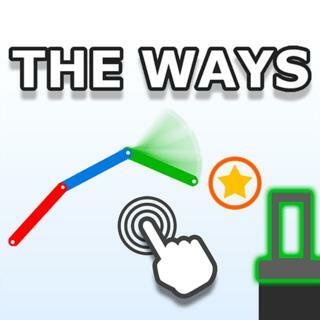 The Ways - Find The Ways in our vast HTML5 games catalogue. Only the best and newest HTML5 games for all audiences. Guaranteed success with Famobi.